Mudvayne was an American heavy metal band from Peoria, Illinois formed in 1996. They are known for their sonic experimentation, innovative album art, face and body paint, masks and uniforms. The band has sold over six million records worldwide, including nearly three million in the United States. The group consisted of Chad Gray (lead vocals), Greg Tribbett (guitar, vocals), Ryan Martinie (bass guitar) and Matthew McDonough (drums). 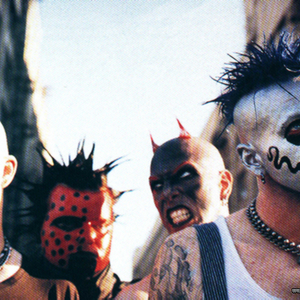 Formed in 1996, Mudvayne became popular in the late-1990s Decatur, Illinois underground music scene.